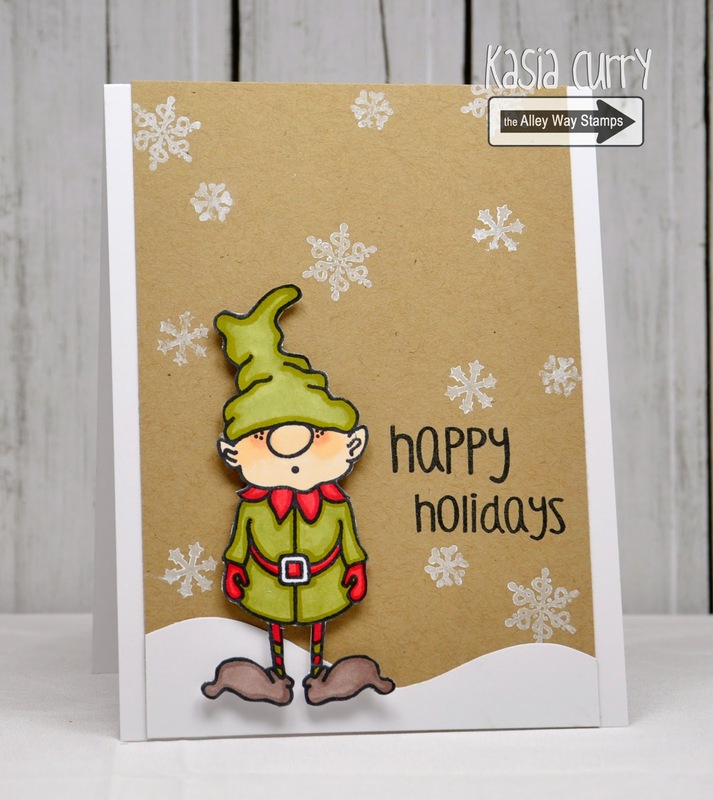 December Blog Hop: Enter to win THREE FREE stamp sets TODAY! You have until Tonight at 9:00PM TAWS time! or more during the month of December. And we aren't done yet!!! If you spend $90.00 in December, you will get this set, too! How much fun is Oinkers?!?!?! We are running a special promotion! 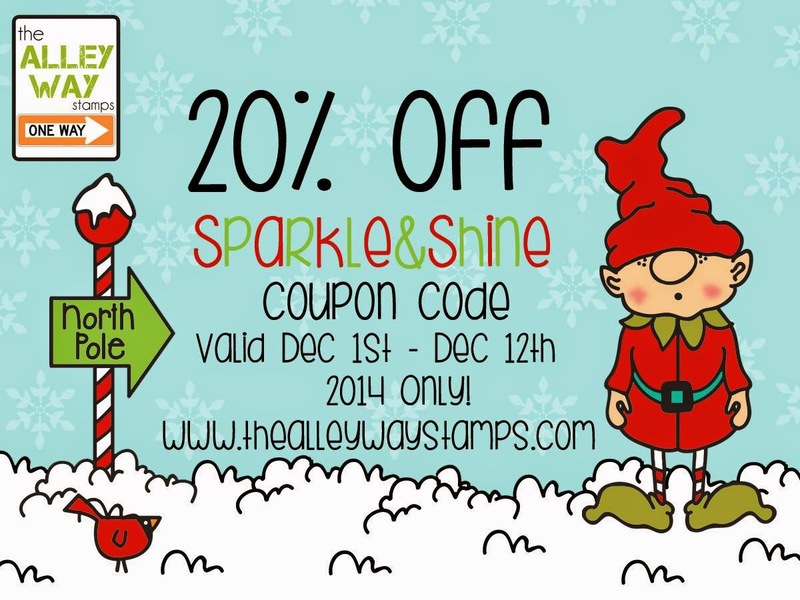 From December 1-12, 2014, enter in the code SPARKLE&SHINE at checkout to get 20% off! Are you ready to hop to win? Let's get started!!!! Today is our last day of Sneak Peeks for December. But don't be too sad! 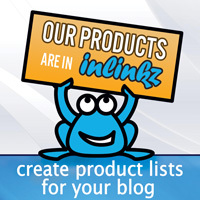 Tomorrow is our Blog Hop. What does that mean??!! It means you have the chance to win one set today and THREE sets tomorrow!!!! Click on the Rafflecopter widget below to enter to win this set - Chick Magnet!!! ! You have until 9 pm TAWS time tonight to get your entries in! Hello here! 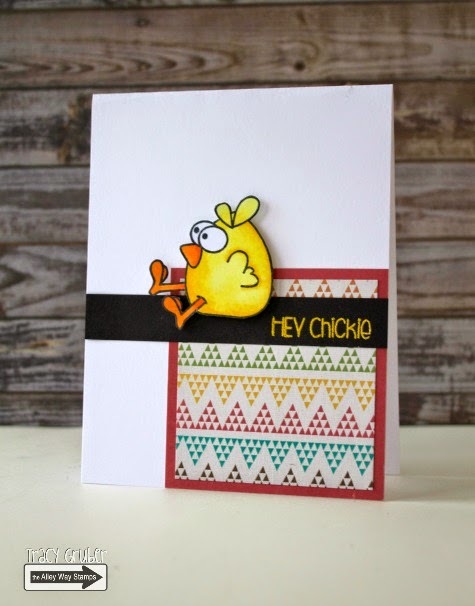 It's Ann and I want to share my first card using newest Chick Magnet set. Isn't it just funny and great?! I love the chickens... they are like babies here :) Sentiment is from More Than Words set. Hello! It's Tracy here with a peek at the new Chick Magnet set. This set has so many cute images and sentiments! Sabine here, such fun poultry images, haha! Love the new Chick Magnet set! Hey there, it's Christine. 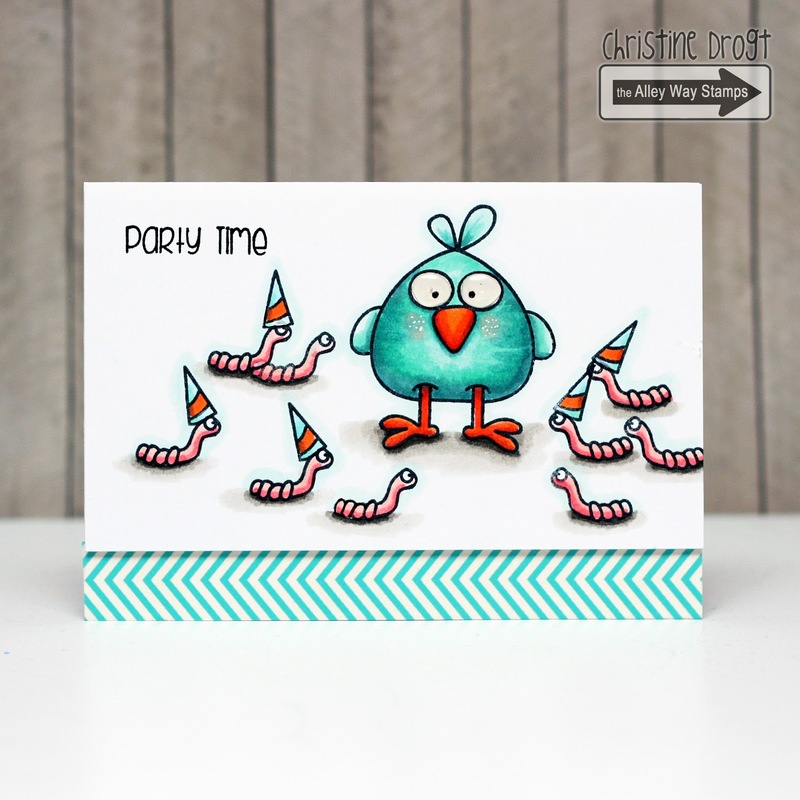 I made a funny card using the little worms and the Chickie from the Chicken Magnet set. Isn't that a FUN set to play with? We are back with our second day of Sneak Peeks for the December 2014 Release! 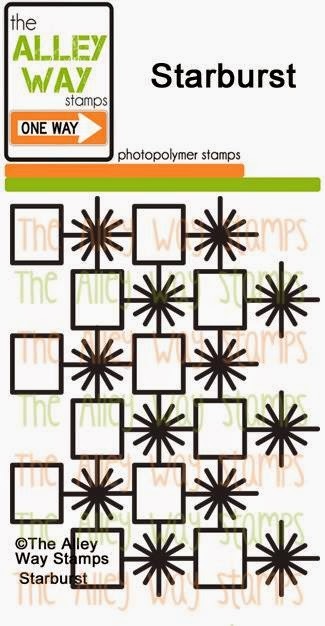 And that means another chance to win a new stamp set!!! We also have our New Release Hop on Sunday, November 30 where we will give away ALL THREE to one lucky stamper! And... we are still going to have another giveaway tomorrow! Click on the Rafflecopter widget below to enter to win this set - More Than Words!!! ! You have until 9 pm TAWS time tonight to get your entries in! And now.... here are a few sneaky peeky projects from the DT! Hey there friends!! Jeni here!! I am SO excited about the More than Words set!! You are going to love it!! I paired some kraft with neon pink snow flakes...brightening for sure!! I am so excited for you to see the rest of the set! It's going to be a keeper, that's for sure!! Anni here! 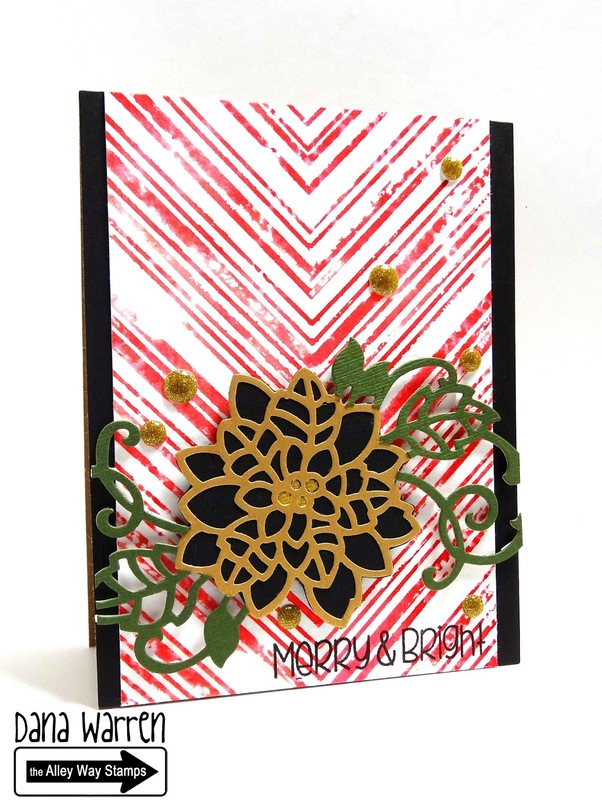 The More Than Words set is full of perfect and versatile sentiments for every occassion - love it! I combined it with the cute little fish from Castaway. 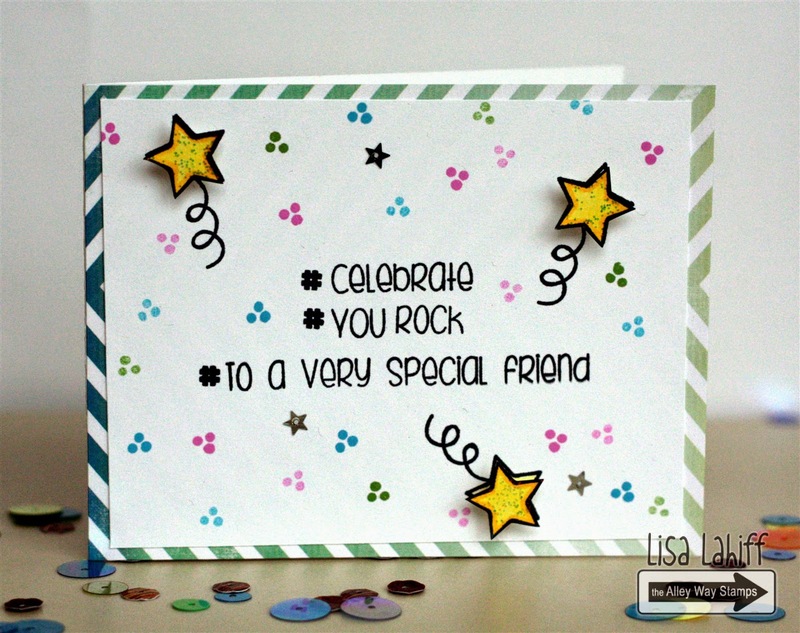 I just love a good sentiment stamp set, as we crafters are always looking for new ways to say things, and this set has some fabulous ones in it! 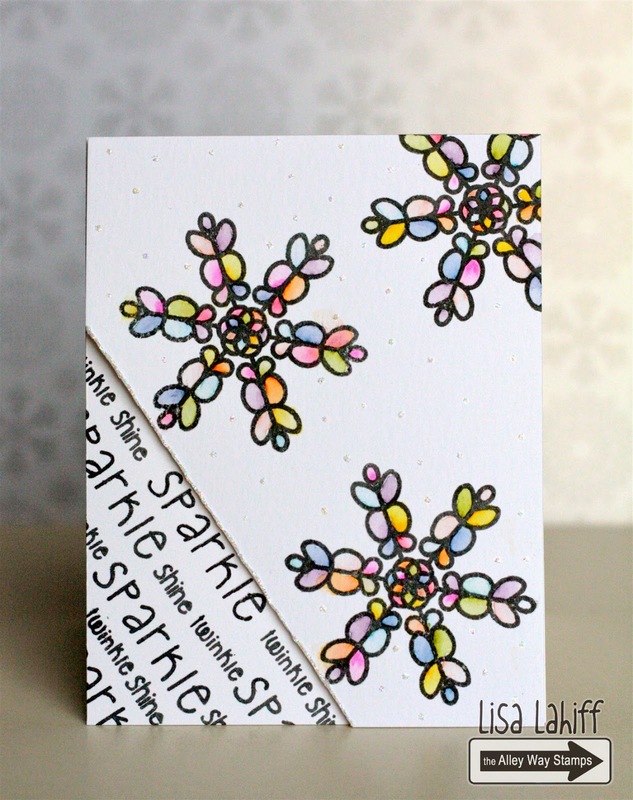 Lisa here with a fun card that is modern, bright, and sparkly! 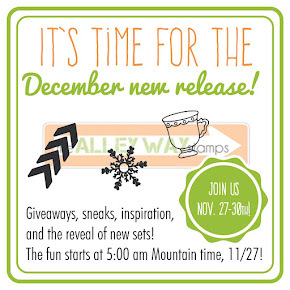 We have our first Sneak Peek giveaway today for the December Release! We think you are going to love it!!! Don't forget to come back tomorrow for another sneak - we have three full days of sneak peeks! And we have our New Release Hop on Sunday, November 30 where we will give away ALL THREE to one lucky stamper! 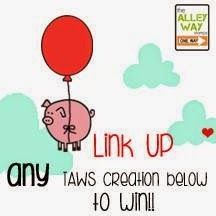 Click on the Rafflecopter widget below to enter to win this set - With Wondering AWE!!! ! You have until 9 pm TAWS time tonight to get your entries in! Now, here are a few sneaks for you!!!! Hi it's N@ Ali. Oh my this set is so FANTASTIC! A nice little Christmas gift for yourself or a crafty friend ; ) Just check this adorable little guy, isn't he cute? The gift is from Lava You set and the heart from Seek Him. Hi Dana here!! I am loving this new set!!! As soon as i saw the Herd sentiment i had an idea of what i wanted to do! Luckily it turnout just like i imagined it!!! I also used With Wondering Awe's matching SVG cut file!! The little holly is from the Breakfast Club set! Hi, Tanja here! I also LOVE this new fabulous stamp set. I am addicted to the masking technique and With Wondering AWE works perfect for this! Morning, Kasia here. 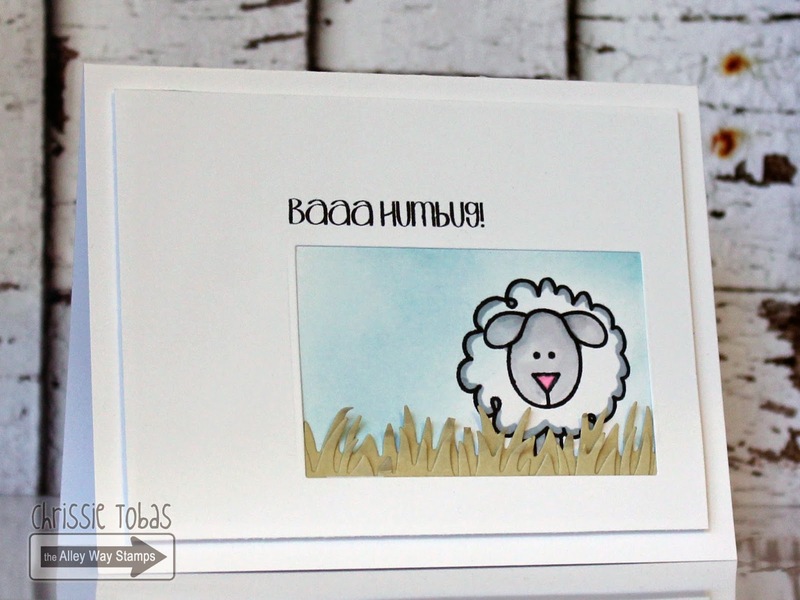 Baby cards are always something I'm in need of lately, and this ADORABLE little sheep from With Wondering Awe, is perfect for this baby onesie. We're back with a few final cards from our November Guest Designers! They both have been awesome - I have really loved getting their creations in my Inbox each week!!! First up, Lisa! She used Fa La La for this project and I LOVE it! And now for Deepti's card! 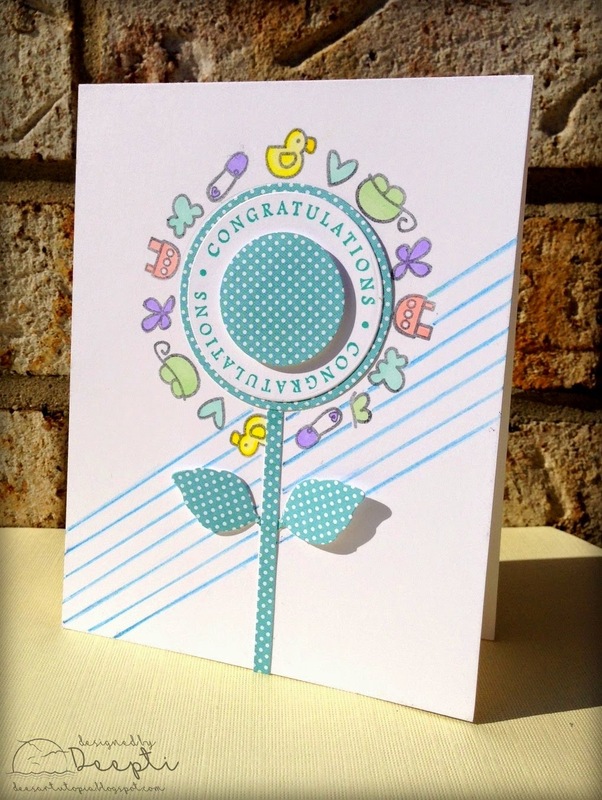 She used Nap Time to create this absolutely darling baby card! Hello, friends! Anna is here to share with you my clean and simple card. I used Making Holidays Bright to create diagonal elements, and than added a sentiment from Rock Solid and sequins and golden washitape as accents. Chrissie here! For this card, I combined the Making Holidays Bright and Winter's Butterflies (free in November with a purchase of $40!) 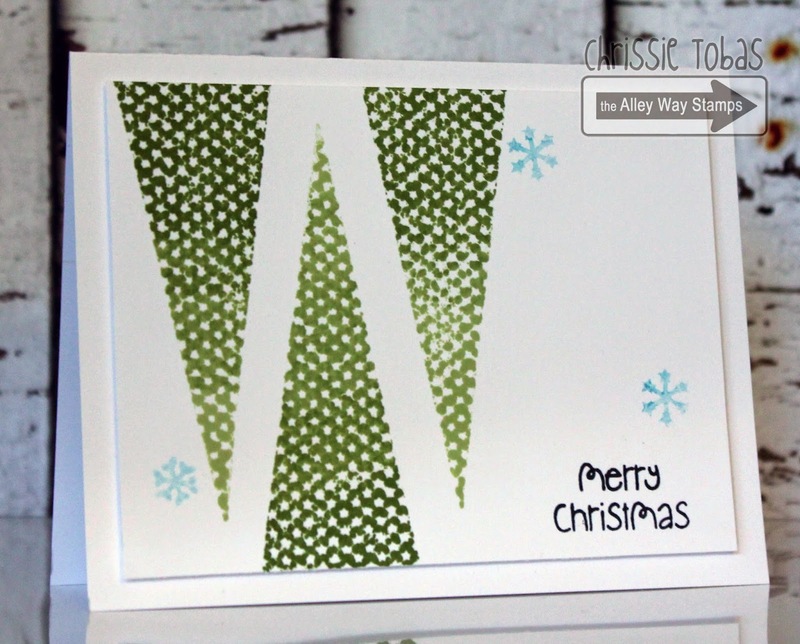 sets to create a simple but fun holiday card! Hello! 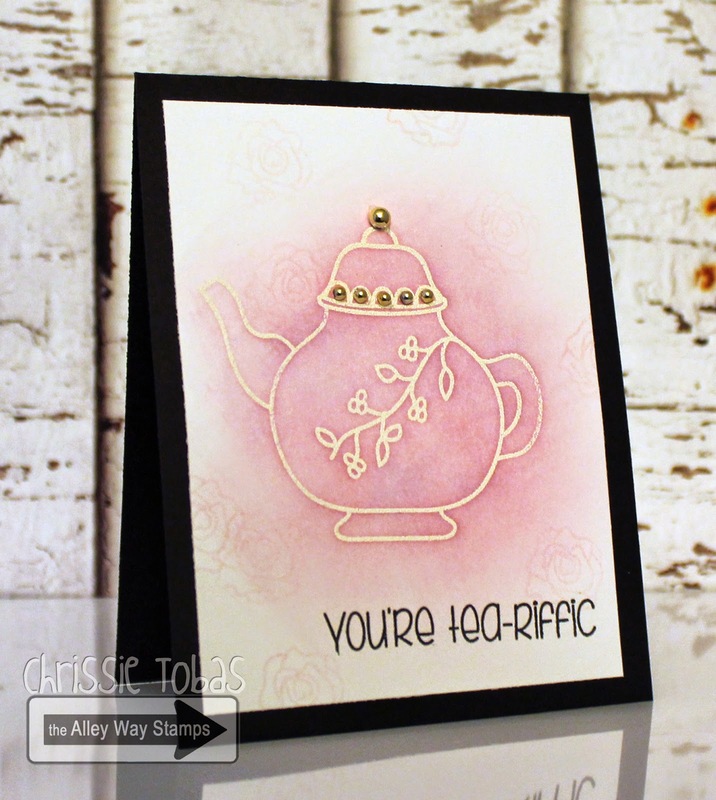 It's Tracy here with a fun and bright card for you! 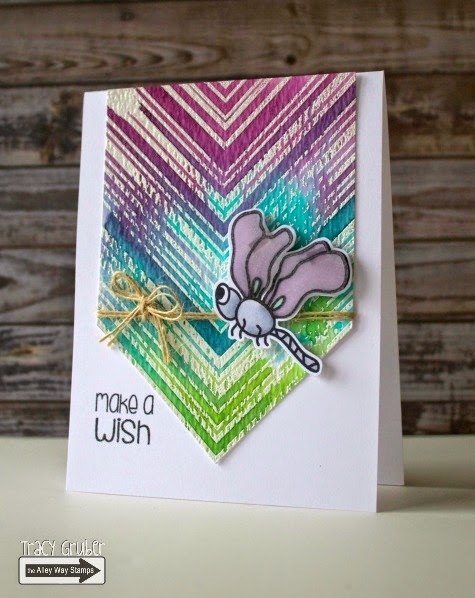 I used the Line Upon Line stamp for the background, the Fly By set for the dragonfly, and the Tickle Me Happy set for the sentiment. Hi it's N@ Ali. I used this month's Making Holidays Bright for my card, combining it with BIG Chatter to complete the sentiment. Hi Dana here!!! 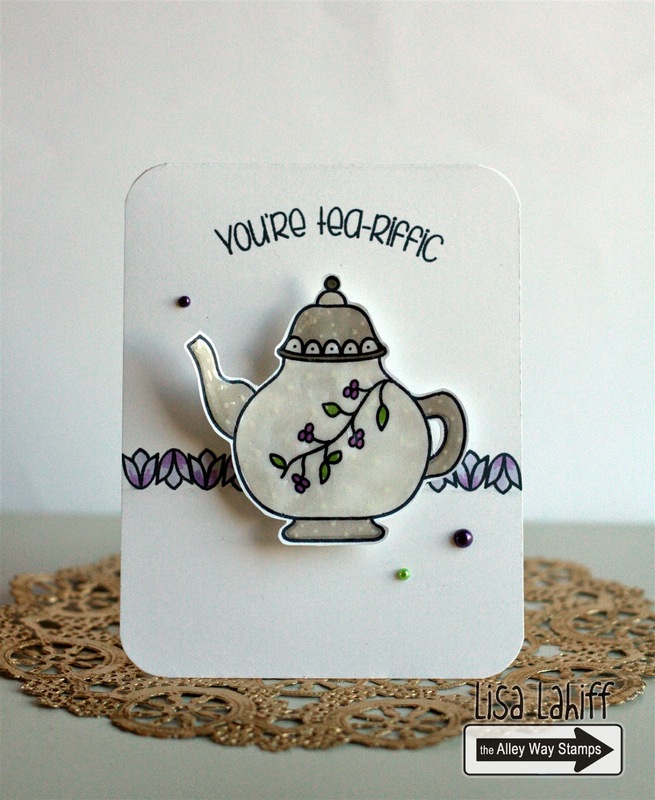 Today's card features the new Tea Par-tea stamp set! I wanted a soft blue for my tea pot and cup, so i used distress markers and a bit of water to lighten up the marker! Hey, Anni here! I used all the cute little snowflakes from the set Making Holidays Bright for the background! The snowman is from one of my all time favorite sets Chill Out! Hey there friends, Jeni here!! I have a fun birthday card to share today. I used Line Upon Line, embossed in white embossing powder. I then used a sponge dauber and filled the image with Delicata gold ink...it is shimmery and yummy in real life!! Happy Birthday from Rock Solid. Hello and Happy Monday! 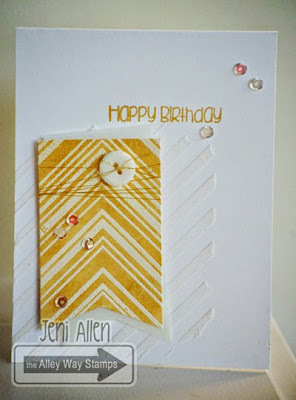 N@ Ali here, I too used Line Upon Line for my card, stamping this great background in two different colors. I used Give Thanks for the sentiment. Morning! 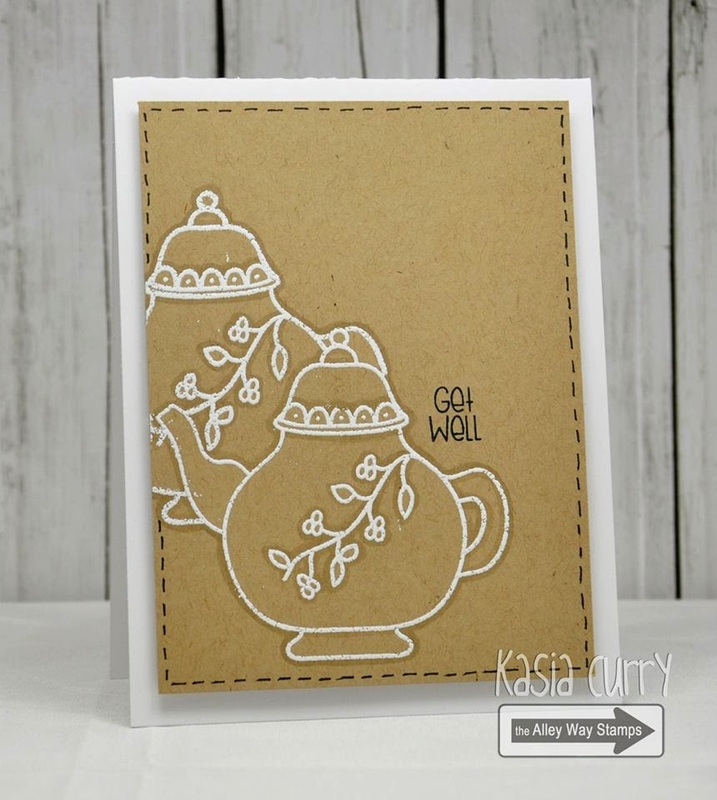 Kasia here using Tea Par-tea for a get well card also! I have always loved the look of white and craft, as well as embossed white outlined with a neutral marker. Hello! 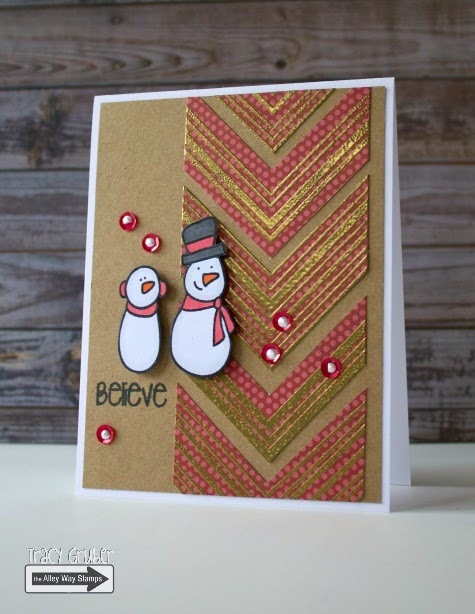 It's Tracy here with a cute snowman card using the Chill Out and Line Upon Line sets. I love the cool backgrounds this stamp can create! Hi! Lisa here with some more winter inspiration to share! I have created a whimsical snowfall by stamping the large snowflake image from Winter's Butterflies ( it's free with your $40 purchase this month, score!) Stamp Set and then watercoloring with distress makers, and I can't forget to mention the sparkle on here too! Enjoy! Hello! Anna is here to share my new card, I created using Line Upon Line set with sentement from Prehistoric. I put three colors of inks on stamp, added some water and stamped. Hi! Chrissie here, using Tea Par-Tea! I love how this set can make a soft and sweet card so easily! 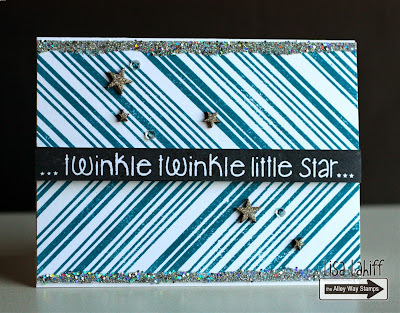 I used embossing powder and distress inks - easy peasy! 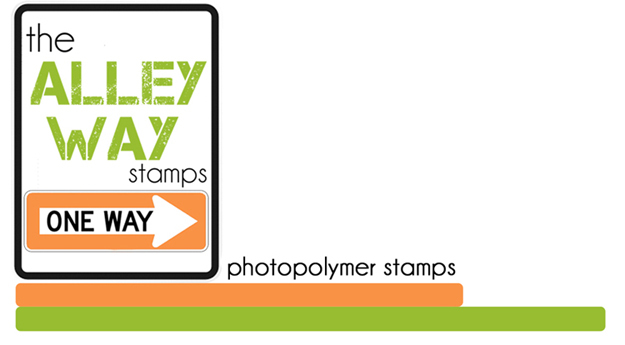 Feel Better with a new stamp set from The Alley Way Stamps (video)! 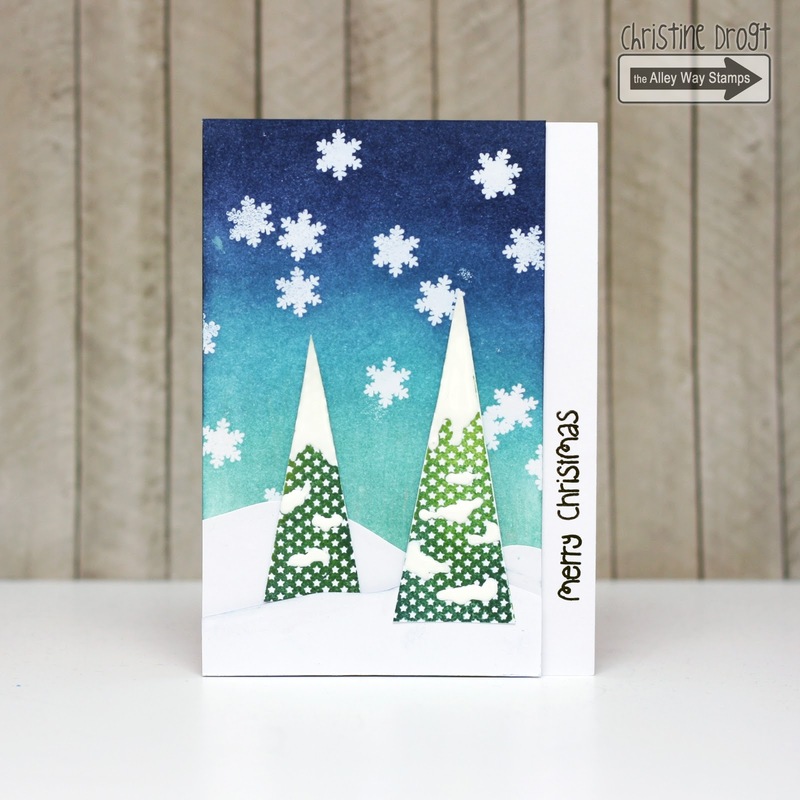 Hi, it's Therese and I have been playing with one of the new stamp sets called Making Holidays Bright. This set is not just for Christmas it is one of those rare holiday sets that can be used all year round. Today I thought I would share with you a very CAS masculine card that I created using these fab stamps. Hi it's N@ Ali. I have a little extra card for you today which could also be given to a guy in your life. I used Livin' Fossils and Rock Solid. Hi, N@ Ali here. A quick card, easy to mass produce with Christmas around the corner! I stamped a few snowflakes from Winter's Butterflies in white, white embossed sentiment from Making Holidays Bright. Hi, Tanja here! As N@ Ali already said christmas is around the corner. 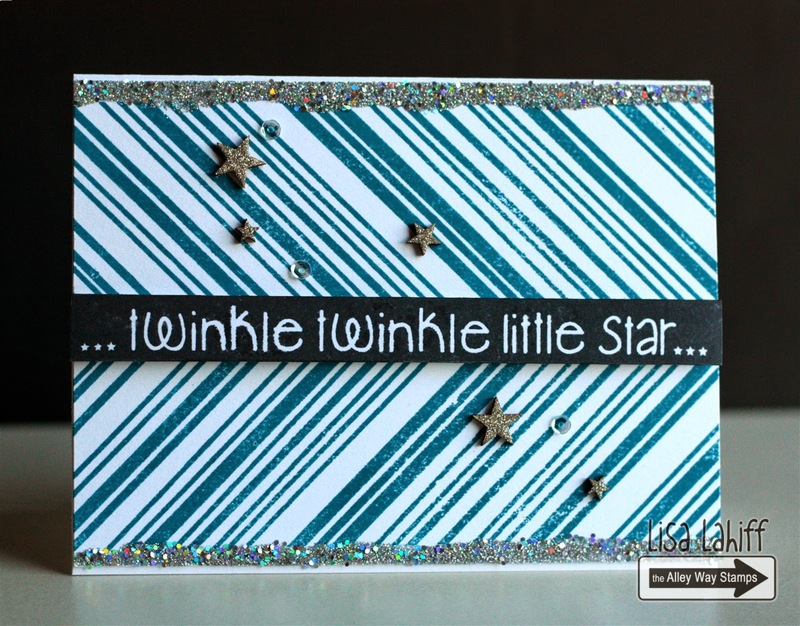 So it's no question what kind of card I'd like to share with you today :-) I used Line Upon Line and Toy Land. Wish you all a happy day. Hi!! Dana here!! I'm playing along with a challenge and the TAWS In Stitches stamp set was perfect for it! I used some snowflake pattern paper and Winter's Butterflies, this months free with a $40 purchase set! Hi there! Chrissie here today! 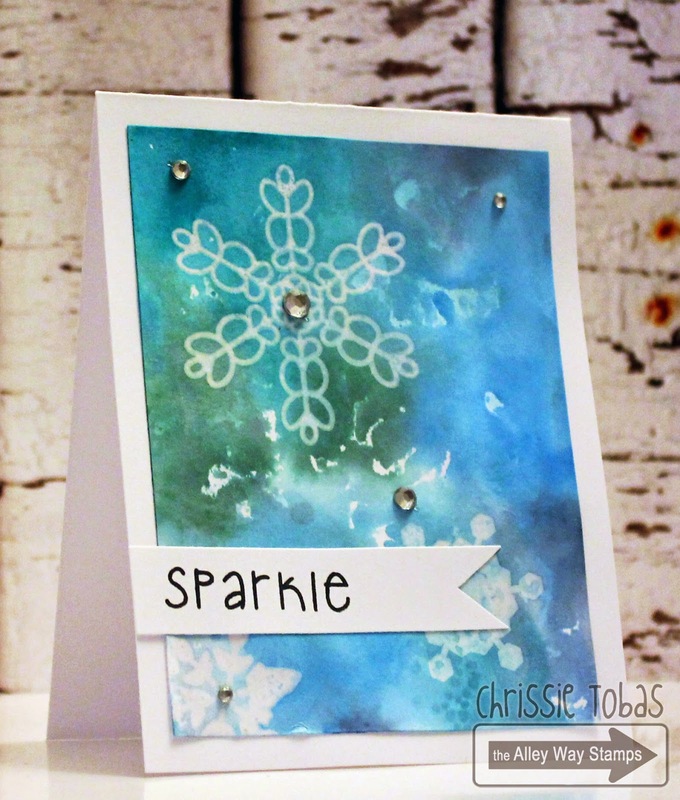 I created a card using the snowflakes from Winter's Butterflies and Distress Inks. I love the emboss resist look and I think all of the blues and greens are just so pretty! This mini set is free when you spend $40 in the TAWS store this month. Hello! 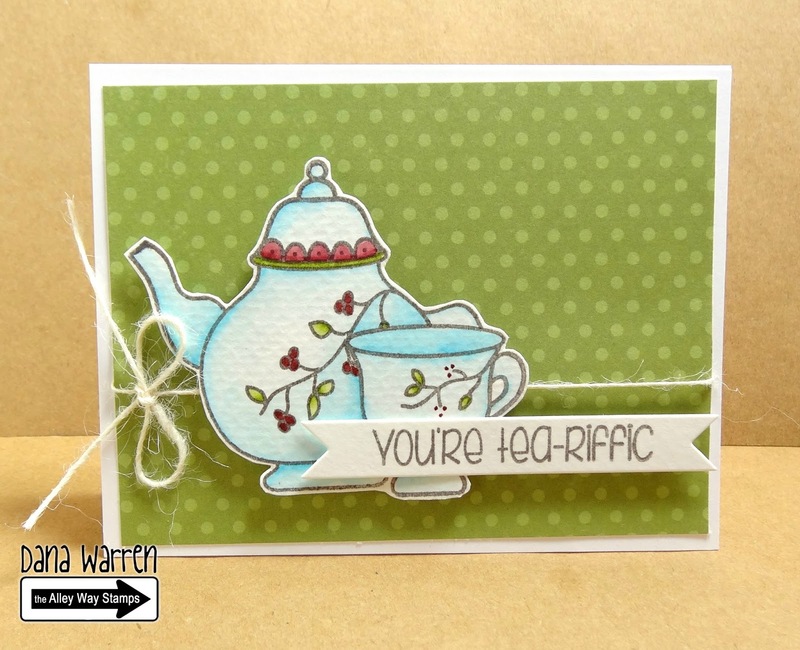 It's Tracy here with a card using the BIG Chatter and Winter's Butterflies stamp sets. I love the silver, gray, and teal color combo! Anni here! I used just a stripe of Line Upon Line and added a cute bird from Bird Brain! Hi! Dana here!! I'm making lots of Christmas cards right now and i have another one to share today! I used Line Upon Line for the background and All Wrapped Up for the sentiment! Hey there friends! Happy Monday!! Jeni here. 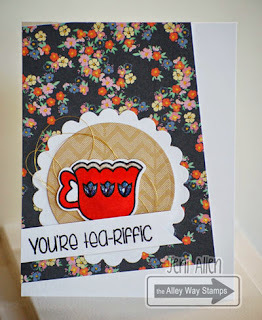 I've got a little tea-riffic card to share with you!! I found some paper that I thought would look lovely with the Tea Par-tea set! There is a bit of wink of stella on the flowers and the top of the cup, then they are glossified with glossy accents...love!! Hi everybody - Tanja here with a christmas card for you today. I used Winter's Butterflies. I LOVE the red embossed snowflakes. The reindeer is from Fa-La-La. The Sentiment means merry christmas and good luck for the new year! Good Morning! Kasia here, and I too used Winter's Butterflies. I love the snowflakes in this set, so many different sizes. They make wonderful backgrounds don't they? I also used the elf from Toyland, and the sentiment from Christmas Magic. More from our November Guest Designers! Crossing Lines to Create a Background (video)!